It’s the last South Florida Bloggers Meetup of 2015! We hope to see you there & celebrate the sixth month of an AMAZING blogger community. So far it’s been tons of fun, supportive, and educational and it’s all because of you. Let’s make 2016 the year of COLLABORATION. So meet other bloggers and start working together towards greatness!We’re so excited about the December South Florida Bloggers Meetup! On Saturday, December 19, 2015, starting AT NOON, we will have guest speaker Sef Gonzalez from Burger Beast. Sef Gonzalez creator of the award-winning blog, Burger Beast, will be giving a tour of the Burger Beast Museum and telling the story behind Burger Beast followed by a Q & A session. We will be meeting at Burger Beast World Headquarters! There will be yummies to eat; exactly what yummies is a surprise and only Burger Beast knows. Sef Gonzalez, better known as Burger Beast, is a respected South Florida Food Blogger, with national reach, who writes about unique food experiences. Although his blog was originally created to find the best burger in Miami, it now represents a publication with the aim to shine light on the often overlooked, undiscovered, and unappreciated culinary gems of South Florida and other noteworthy destinations. Burger Beast has also written for Broward New Times, edible south Florida, The Miami Herald and Ocean Drive Magazine. 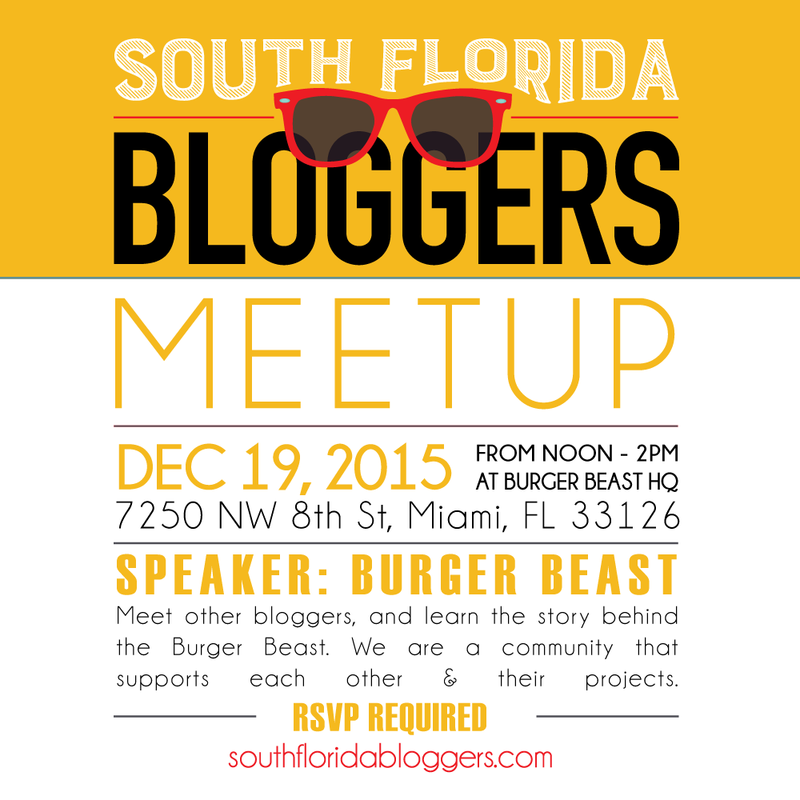 Thank you to Burger Beast Museum for hosting our December South Florida Blogger Meetup.